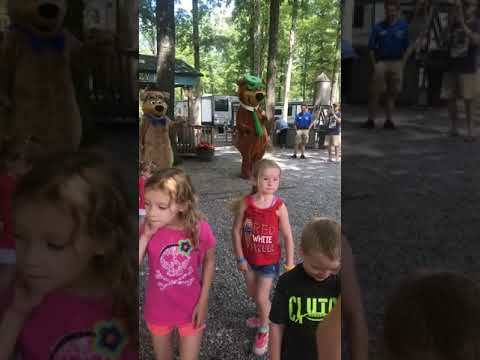 Yogi Bear's Jellystone Park at Kozy Rest is rated as one of the best, set under the tall trees in the prettiest parts of Butler County in Western Pennsylvania. From basic tenting & RV's, to BIG RIG pull-thru sites, They have what you need. Rental cabins, basic to full service, and Yurts are available. The group camping area with a picnic pavilion is great for clubs and family reunions. With scheduled activities, & family fun, Jellystone Park at Kozy Rest is a great delight for the entire family. This campground has 170 shaded sites with 20/30/50 amp service, swimming pool, laser tag battlefield, GaGa ball, RC car track, bike track, game room, store, playground, fire rings, full schedule of activities and games. 10 miles from Grove City Prime Outlets and Moraine State Park, near Amish country, 60 miles north of Pittsburgh and 90 miles south of Erie. Very conveniently located close to Interstate 79 and Interstate 80. Jellystone Park at Kozy Rest is an award winning park. In 2011/2014/2015/2017 they were recognized as ARVC National "Park of the Year". And in 2014 Yogi Bear awarded them "Facility of the Year" and in 2013 Yogi Bear gave them "Entrepreneur of the Year" and in 2012 they got "#1 Inspection Rating". The restrooms are some of the best in the country. All reservations will be paid in full at time of reservation to simplify and speed up the check in process for our guests and make it more guest friendly! From I-80, Exit 29 (Barkeyville): Take Route 8 South into Harrisville, turn left on to Route 58, go ¼ mile to Campground Road. Turn left, we are 2 miles on the left. From I-79, Exit 113 (Grove City): Take Route 208 East into Grove City, turn right onto Route 58 East. 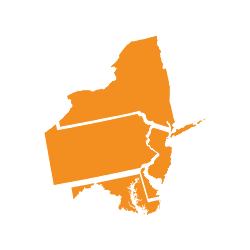 Follow Route 58 East into Harrisville, turn left on Campground Road ¼ mile past the intersection of Route 8 and Route 58. We are 2 miles on the left. We had a wonderful experience, the ground is setup nicely. The staff is so warm and welcoming. Really enjoyed all the activities. Great family and pet friendly campground. What a great experience, from the moment we arrived until the minute we checked out. Everyone was nice and friendly. And not just the workers. The Seasonals we very friendly and helpful as well. We liked it so much we have booked repeat visits already. It is very family friendly. Restrooms are nice and clean. Never a dull moment or bad time. We've stayed in cabins, yurts, tents, and our camper. Always up kept and very clean. Have to try out there Halloween production.